I fret that it might be damaged by the strong sun. so that the blossoms may linger. 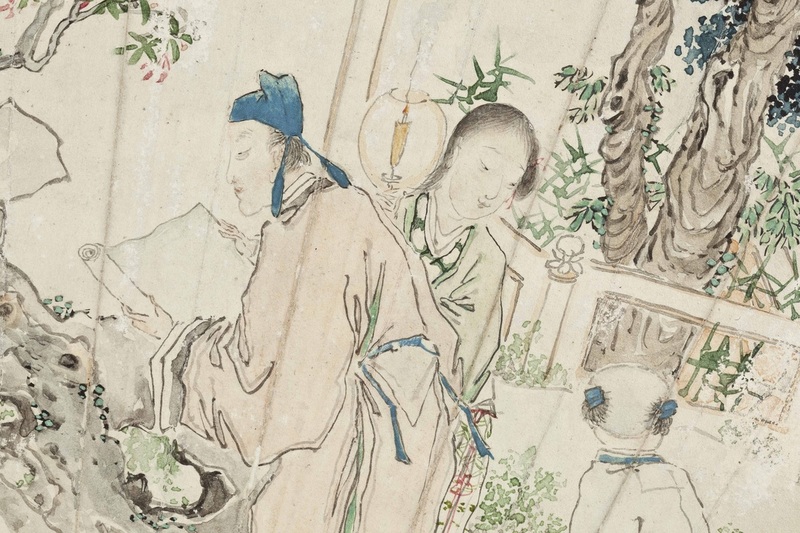 The inscription also comments that it is painted in the style of Tang Yin (1470-1523) a late Ming master from Suzhou and dedicates the painting to his elder brother Yifan. Yifan appears to be the art name of Chen Fan (1860-1913) who was a native of Heng mountain in Hunan. Qing dynasty, Shanghai school, Shen Zhizhou, late 19th century. 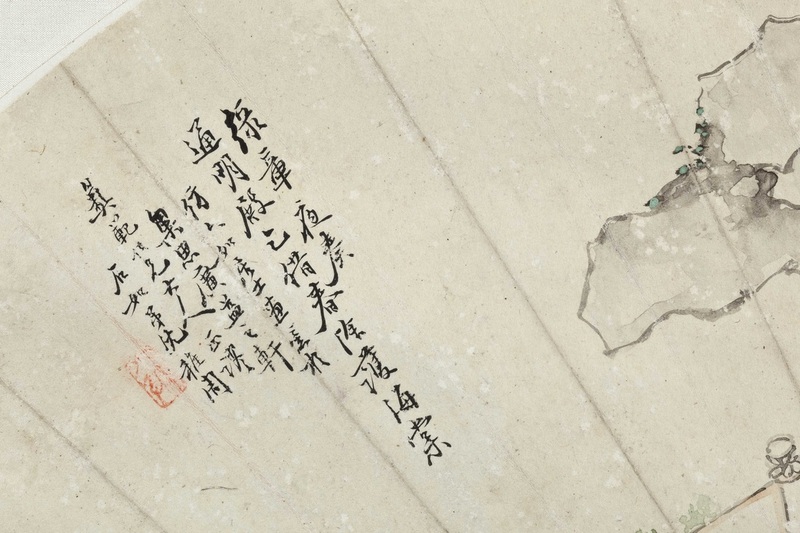 Shen Zhizhou is not listed in Zhongguo Meishujiaren Ming Cidian but his signature identifies his hometown as Wulin (present day Taizhou) in Jiangsu province. Click on the small image above to enlarge.